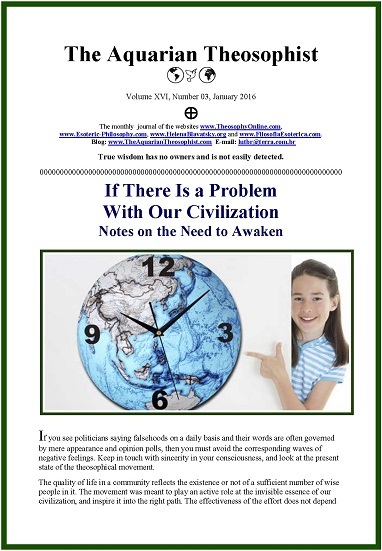 The article “If There Is a Problem With Our Civilization” is on pp. 1-2. “Developing the Right Intention” completes page 2. On pp. 3 and 4, “Fragments of Wisdom: The Universe, Mankind and the Mahatmas”, by H.P. Blavatsky. The note “Robert Crosbie and the Duty of Correcting Falsities” opens p. 5. Then we have two notes by Russian philosopher Ivan A. Il’in: “Lessons from History” and “The Comical Side of Ignorance”. * The New Texts in Our Websites. The 18 pp. 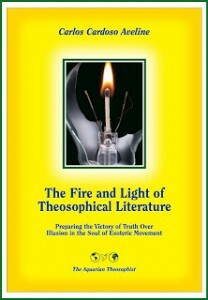 edition concludes with “Thoughts Along the Road”.